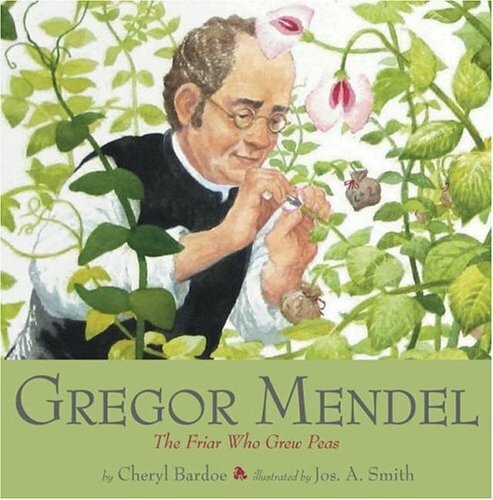 Gregor Johann Mendel (July 20, 1822 – January 6, 1884) was an Austrian Augustinian friar and scientist, who gained posthumous fame as the founder of the new science of genetics for his study of the inheritance of certain traits in pea plants. 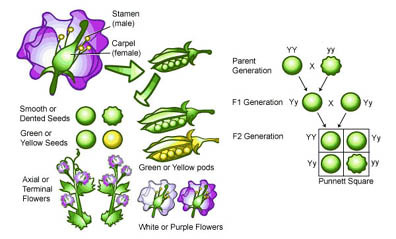 Mendel showed that the inheritance of these traits follows particular laws, which were later named after him. The significance of Mendel’s work was not recognized until the turn of the 20th century. The independent rediscovery of these laws formed the foundation of the modern science of genetics. 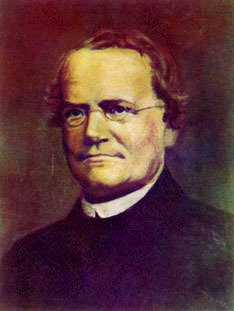 Mendel was born into an ethnic German family in Heinzendorf bei Odrau, Austrian Silesia, Austrian Empire (now Hynčice, Czech Republic), and was baptized two days later as Johann. He was the son of Anton and Rosine (Schwirtlich) Mendel, and had one older sister (Veronica) and one younger (Theresia). They lived and worked on a farm which had been owned by the Mendel family for at least 130 years. During his childhood, Mendel worked as a gardener, studied beekeeping, and as a young man attended Gymnasium (school) in Opava. Later, from 1840 to 1843, he studied practical and theoretical philosophy as well as physics at the University of Olomouc Faculty of Philosophy, taking a year off through illness. When Mendel entered the Faculty of Philosophy, the Department of Natural History and Agriculture was headed by Johann Karl Nestler, who conducted extensive research of hereditary traits of plants and animals, especially sheep. 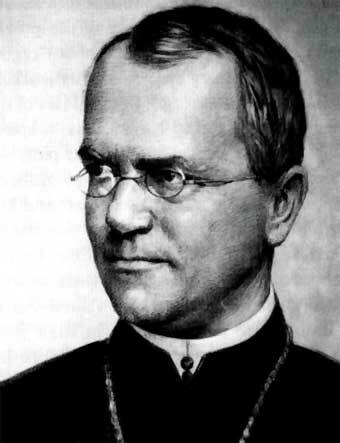 In 1843 Mendel began his training as a priest. Upon recommendation of his physics teacher Friedrich Franz, he entered the Augustinian Abbey of St Thomas in Brno in 1843. Born Johann Mendel, he took the name Gregor upon entering religious life. In 1851 he was sent to the University of Vienna to study under the sponsorship of Abbot C. F. Napp. At Vienna, his professor of physics was Christian Doppler. Mendel returned to his abbey in 1853 as a teacher, principally of physics, and by 1867, he had replaced Napp as abbot of the monastery. Besides his work on plant breeding while at St Thomas’s Abbey, Mendel also bred bees in a bee house that was built for him, using bee hives that he designed. He also studied astronomy and meteorology, founding the ‘Austrian Meteorological Society’ in 1865. The majority of his published works were related to meteorology. Gregor Johann Mendel (July 20, 1822 – January 6, 1884) was a Czech-German Augustinian friar and scientist, who gained posthumous fame as the figurehead of the new science of genetics for his study of the inheritance of certain traits in pea plants. Mendel showed that the inheritance of these traits follows particular laws, which were later named after him. The significance of Mendel’s work was not recognized until the turn of the 20th century. The independent rediscovery of these laws formed the foundation of the modern science of genetics. They lived and worked on a farm which had been owned by the Mendel family for at least 130 years. During his childhood, Mendel worked as a gardener, studied beekeeping, and as a young man attended Gymnasium (school) in Opava. Later, from 1840 to 1843, he studied practical and theoretical philosophy as well as physics at the University of Olomouc Faculty of Philosophy, taking a year off through illness. When Mendel entered the Faculty of Philosophy, the Department of Natural History and Agriculture was headed by Johann Karl Nestler, who conducted extensive research of hereditary traits of plants and animals, especially sheep. In 1843 Mendel began his training as a priest. Upon recommendation of his physics teacher Friedrich Franz, he entered the Augustinian Abbey of St Thomas in Brno in 1843. 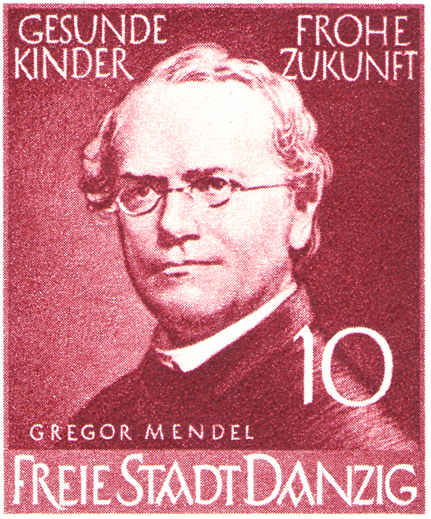 Born Johann Mendel, he took the name Gregor upon entering religious life. In 1851 he was sent to the University of Vienna to study under the sponsorship of Abbot C. F. Napp. At Vienna, his professor of physics was Christian Doppler. Mendel returned to his abbey in 1853 as a teacher, principally of physics, and by 1867, he had replaced Napp as abbot of the monastery. After Mendel completed his work with peas, he turned to experimenting with honeybees, in order to extend his work to animals. He produced a hybrid strain (so vicious they were destroyed), but failed to generate a clear picture of their heredity because of the difficulties in controlling mating behaviours of queen bees. 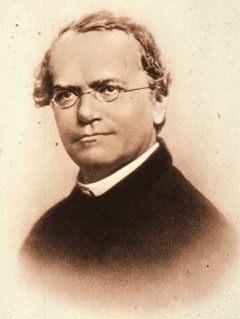 He also described novel plant species, and these are denoted After he was elevated as abbot in 1868, his scientific work largely ended as Mendel became consumed with his increased administrative responsibilities, especially a dispute with the civil government over their attempt to impose special taxes on religious institutions. At first Mendel’s work was rejected, and it was not widely accepted until after he died. At that time most biologists held the idea of blending inheritance, and Charles Darwin’s efforts to explain inheritance through a theory of pangenesis were unsuccessful. Mendel’s ideas were rediscovered in the early twentieth century, and in the 1930s and 1940s the modern synthesis combined Mendelian genetics with Darwin’s theory of natural selection. 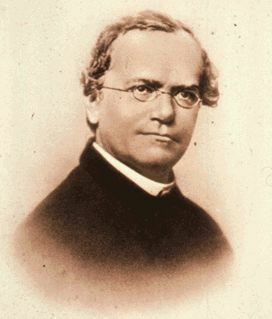 Mendel died on January 6, 1884, at age 61, in Brno, Moravia, Austria-Hungary (now Czech Republic), from chronic nephritis. Czech composer Leoš Janáček played the organ at his funeral. After his death the succeeding abbot burned all papers in Mendel’s collection, to mark an end to the disputes over taxation.with the botanical author abbreviation “Mendel”. Mendel’s results were quickly replicated, and genetic linkage quickly worked out. Biologists flocked to the theory, even though it was not yet applicable to many phenomena, it sought to give a genotypic understanding of heredity which they felt was lacking in previous studies of heredity which focused on phenotypic approaches. Most prominent of these latter approaches was the biometric school of Karl Pearson and W.F.R. Weldon, which was based heavily on statistical studies of phenotype variation. The strongest opposition to this school came from William Bateson, who perhaps did the most in the early days of publicising the benefits of Mendel’s theory (the word “genetics”, and much of the discipline’s other terminology, originated with Bateson). This debate between the biometricians and the Mendelians was extremely vigorous in the first two decades of the twentieth century, with the biometricians claiming statistical and mathematical rigor, whereas the Mendelians claimed a better understanding of biology. 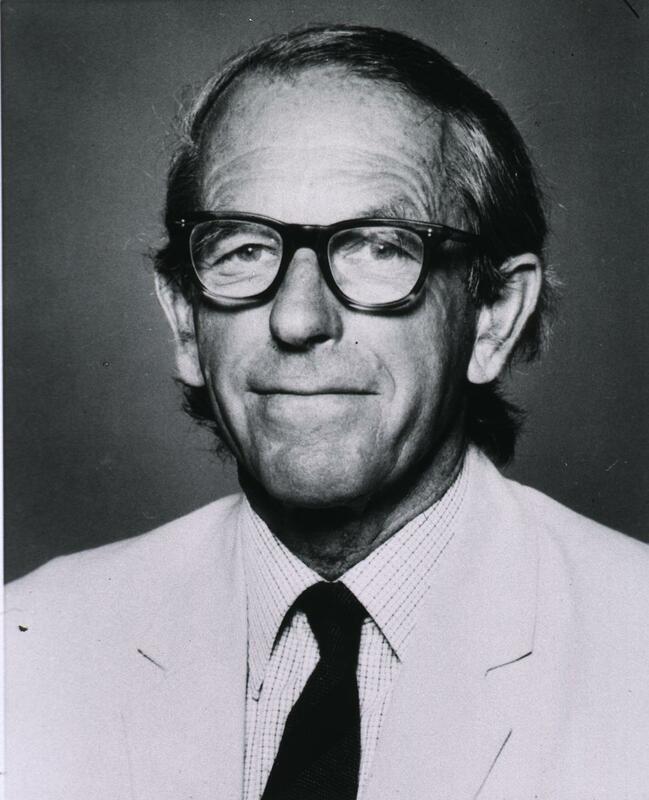 In the end, the two approaches were combined as the modern synthesis of evolutionary biology, especially by work conducted by R. A. Fisher as early as 1918. Mendel’s experimental results have later been the object of considerable dispute. Fisher analyzed the results of the F2 (second filial) ratio and found them to be implausibly close to the exact ratio of 3 to 1. Only a few would accuse Mendel of scientific malpractice or call it a scientific fraud—reproduction of his experiments has demonstrated the validity of his hypothesis—however, the results have continued to be a mystery for many, though it is often cited as an example of confirmation bias. This might arise if he detected an approximate 3 to 1 ratio early in his experiments with a small sample size, and continued collecting more data until the results conformed more nearly to an exact ratio. It is sometimes suggested that he may have censored his results, and that his seven traits each occur on a separate chromosome pair, an extremely unlikely occurrence if they were chosen at random. In fact, the genes Mendel studied occurred in only four linkage groups, and only one gene pair (out of 21 possible) is close enough to show deviation from independent assortment; this is not a pair that Mendel studied. Some recent researchers have suggested that Fisher’s criticisms of Mendel’s work may have been exaggerated.